100 Things: Climb the Onze Lieve Vrouwetoren — Did I Say That? Posted July 12, 2011 & filed under 100 things. In the center of Amersfoort there is a tower. 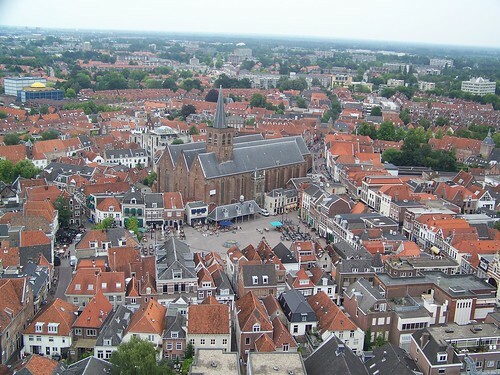 It’s quite noticeable too: at 98.33 meters, it’s the third highest church tower of the Netherlands. And since I moved to Amersfoort nearly eleven years ago, I kept on not getting around to actually climb it. So I put it on my list of 100 things to do before I can’t do ’em anymore. This afternoon, I went up a buttload of stairs, and it was totally worth it. Amersfoort from the Onze Lieve Vrouwetoren. And yes, you can see my house from up there.